The state of Pennsylvania has legalized medical marijuana. Signed into law on April 16th, 2016, and called Act 16, the Medical Marijuana Program in Pennsylvania makes it the 26th state to legalize marijuana for medical use. Act 16 protects patients, doctors, the caregivers of patients, and dispensaries for medical marijuana from civil and criminal penalties. Medical marijuana is legal in Pennsylvania now. This guide will show you, as a patient or the caregiver of a patient, how to obtain both a prescription and the medical marijuana itself. Medical marijuana is the use of whole marijuana (cannabis) plants or extracts of their basic chemical components to treat the symptoms of illnesses and conditions. While marijuana is still a schedule 1 drug on the Federal level, Pennsylvania and a number of States have legalized it locally for medical use. Some states have also legalized it for recreational use, but is another topic. 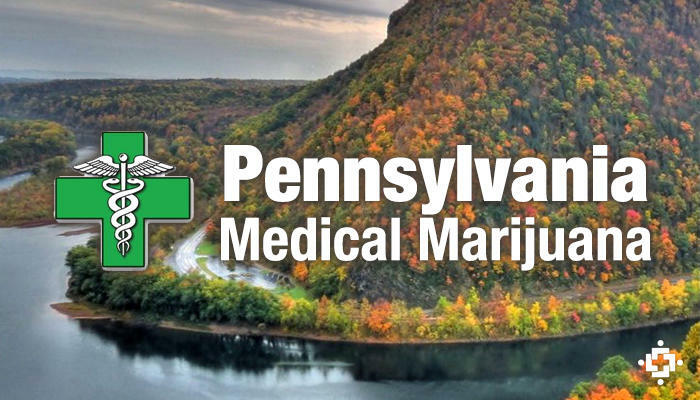 Due to its legal status on the Federal level, Pennsylvania has legalized medical marijuana for the treatment of a relatively small number of serious illnesses. Determine if you have a qualifying condition. Collect your medical documentation showing you have that qualifying condition. Create a list of all medication currently prescribed. Register on the Pennsylvania Patients and Caregivers Registry website and receive a patient ID #. Setup an appointment with a doctor on our Prescribing Doctor List. Go to your doctor appointment and get certified as a medical marijuana patient. Before a doctor will prescribe you medical marijuana, you must provide documentation that you have one of the qualifying conditions. You will be required to provide this before your visit. The doctor will provide their fax or email for you to provide the information. For a condition like PTSD, a simple letter from your psychiatrist might be enough. For a condition like sickle cell anemia, blood test results may be required. Each condition has separate diagnosis criteria and thus separate information proving you have that condition. Your current doctor can help you with this and provide the necessary documentation for you to provide. A list of all medication that you are currently prescribed and taking is essential. Before you are prescribed medical marijuana, the doctor will need to see this. Doctors will not prescribe you medical marijuana if you are currently using marijuana without a prescription or taking opioids (prescribed or not). In fact, the doctor will most likely administer a urine test before prescribing medical marijuana and have you sign a pain contract stating you will not take opioids while on medical marijuana. Visit the Patients and Caregivers Registry and create a patient profile in the Department of Health’s patient and caregiver registry. The doctor will look up your information on there during your visit. Have your patient ID # from the website handy when setting your appointment with the doctor as well.